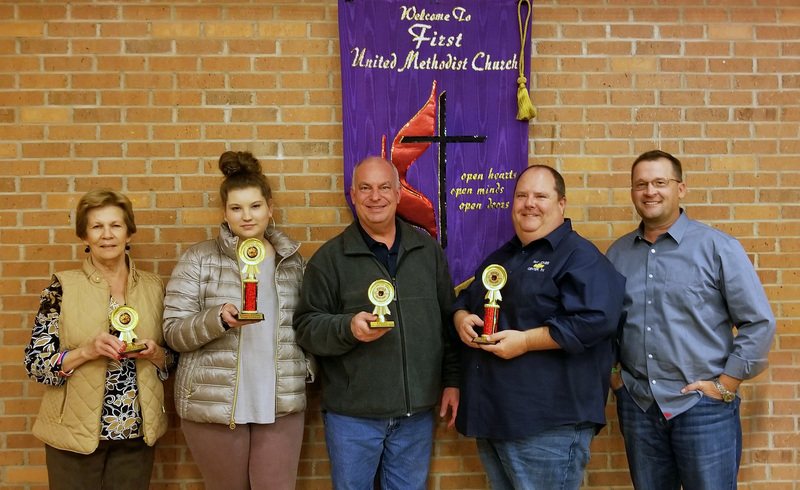 Center First UMC Missions/Outreach Committee extends their gratitude and appreciation to everyone who entered the cook-off and to everyone who attended and voted for their favorite Soup and Chili! Thank you for making our first cook-off fundraiser a success! Congratulations to our Soup & Chili Cook-Off 2019 Winners! We began this year with prayer that God would open the doors and lead us to what mission He has planned for us to do this year. For this we say thank you Lord. I would like to extend a big blessing from 2017 that truly stands out in my mind… Members were asked to donate to Faith United Methodist Church in Orange. $3,000.00 was donated!!! Thanks to everyone for your help with the Missions Committee. We have had a wonderful year, and God has blessed our program with so much support. It has been such a blessing to be your chairperson for the last several years. You have all made this program such a success.